The Mediterranean Sea is almost completely surrounded by land, with Southern Europe to its north and North Africa to its south. So naturally, Mediterranean style is inspired by the rich culture of its many neighboring countries. From the white stucco walls and blue ocean-inspired hues of the Greek islands, to ornate patterned Mallorcan tiles, to Morocco's unique woven textiles, it's no surprise that this design aesthetic is an all-time favorite. 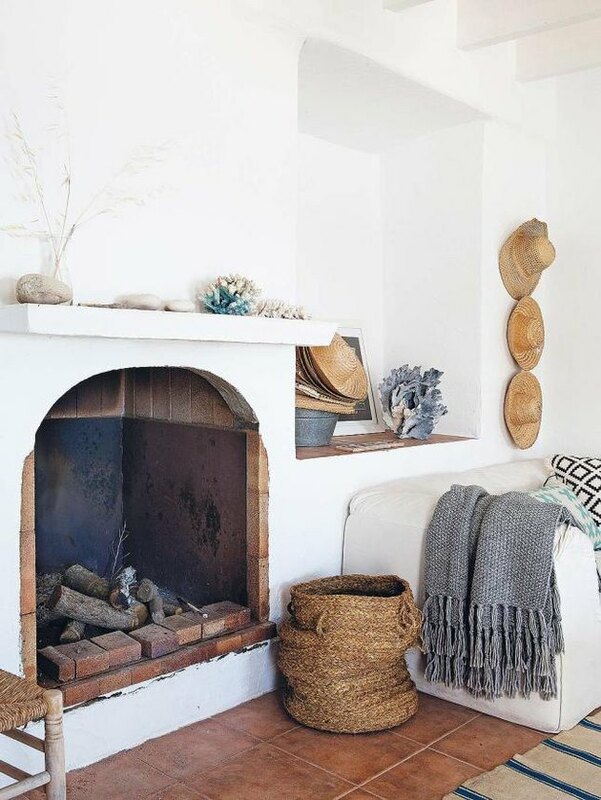 And while traveling there is an ideal way to soak up all that the Mediterranean has to offer, you can also just turn your home into a dreamy coastal retreat. Follow the lead of these 10 gorgeous spaces that will instantly transport you straight to the Mediterranean seaside. 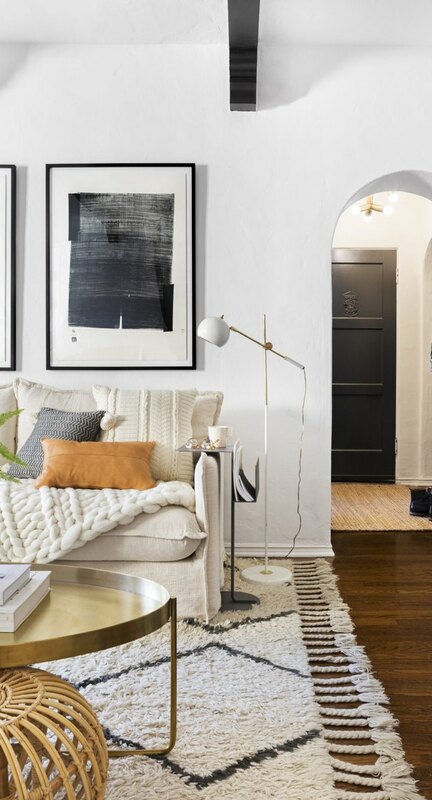 Arches add a breezy air to your living space. Paired with a patterned area rug and dark wood accents, Brady Tolbert's stunning living room feels effortlessly Mediterranean. Exotic style doesn't have to be all Spanish tile and stunning archways. 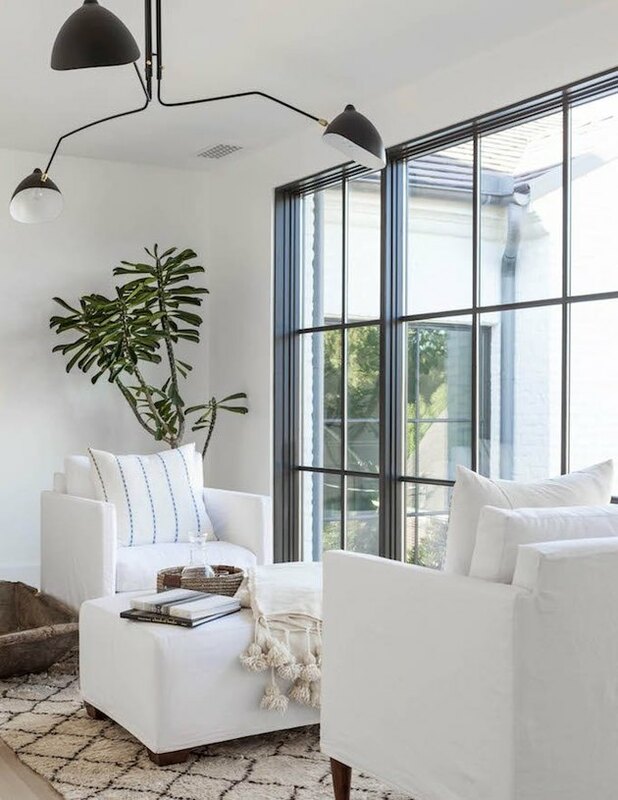 Highlight a gorgeous view with neutral fabrics and simple decor to get the luxe coastal vibe in this modern California home designed by Theresa Rowe. Bringing the outdoors in is a classic staple of Mediterranean style. 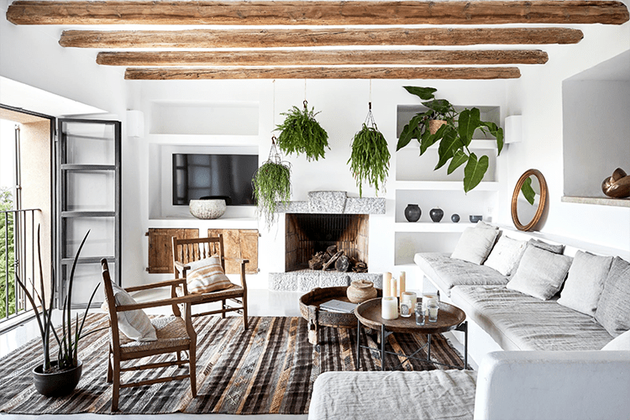 Hanging greenery, rustic wood ceiling beams, and doors open to the outside turn this Mallorcan living room designed by More Design into a peaceful haven. Get that Mediterranean vibe by choosing your tile carefully. There's no need to go overboard. 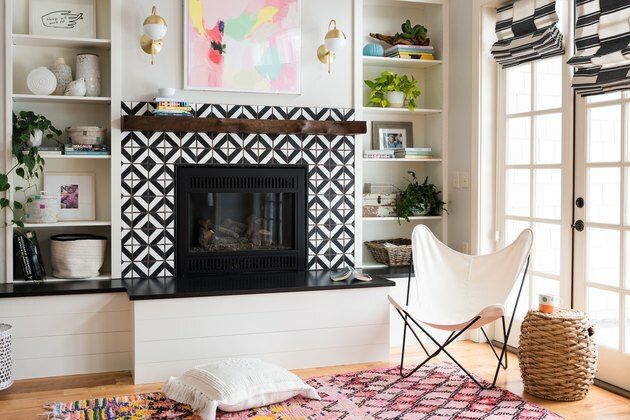 A fireplace surround decked out in funky-yet-minimal patterned tile like the one in this living room designed by Max Humphrey can be just the right touch. Loving that Spanish style? This beachside home designed by Jessica Bataille uses raw brick, woven accessories, and hints of blue throughout to create this airy and relaxed effect. Mediterranean design may feel bright and breezy, but perfectly chosen textures promise to anchor the look. 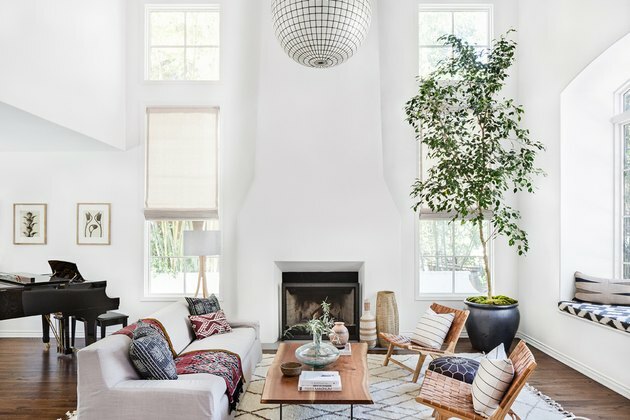 In this California abode designed by Rosa Beltran for Homepolish, details like patterned textiles, woven leather chairs, and a live edge wood coffee table make this coastal-inspired space with high ceilings feel grounded. 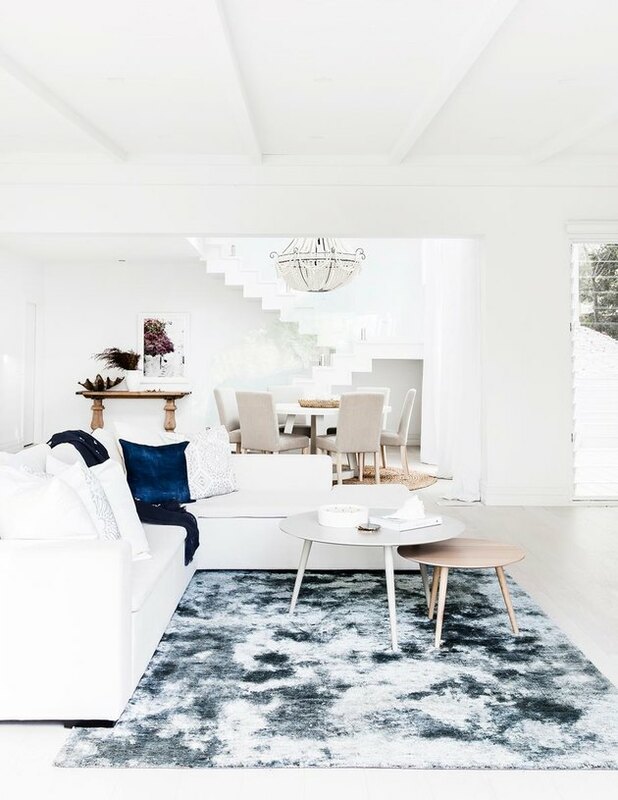 This might not be the most practical setup if you have kids or pets, but we are loving this modern white-on-white look with rustic wood accents designed by CM Studio. Wood ceiling beams work in a variety of different design aesthetics, and are pretty much always a plus. 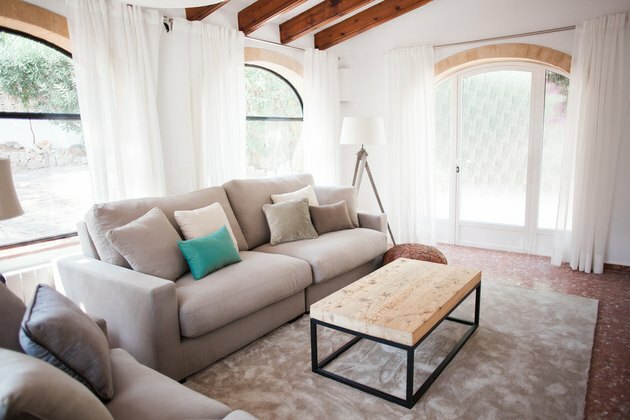 And even more so when paired with arched windows and dreamy white drapery, like the living room in this villa designed by Jessica Bataille. A hint of blue goes a long way toward cultivating that seaside vibe. 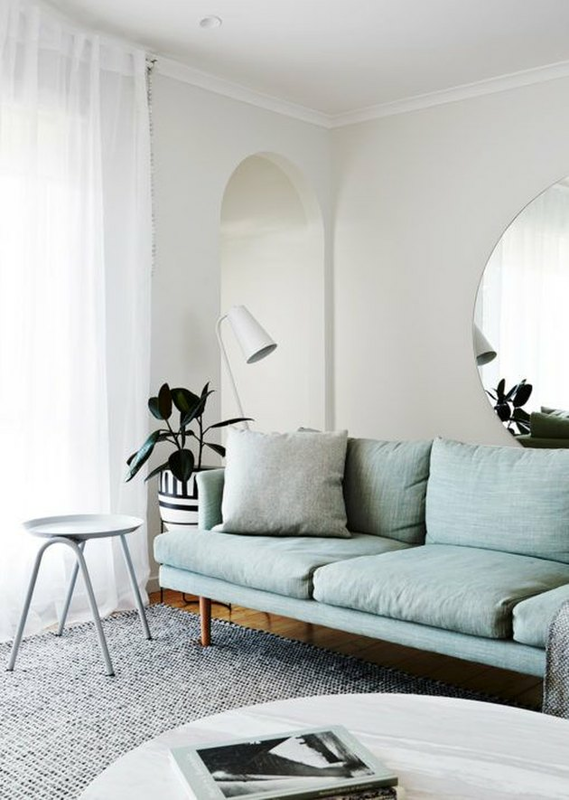 Invest in a light blue-green sofa like the one in this Melbourne abode and imagine yourself sailing across the waves. But if you want to feel like you're truly on the coast, don't skimp on your room's most important element: light. 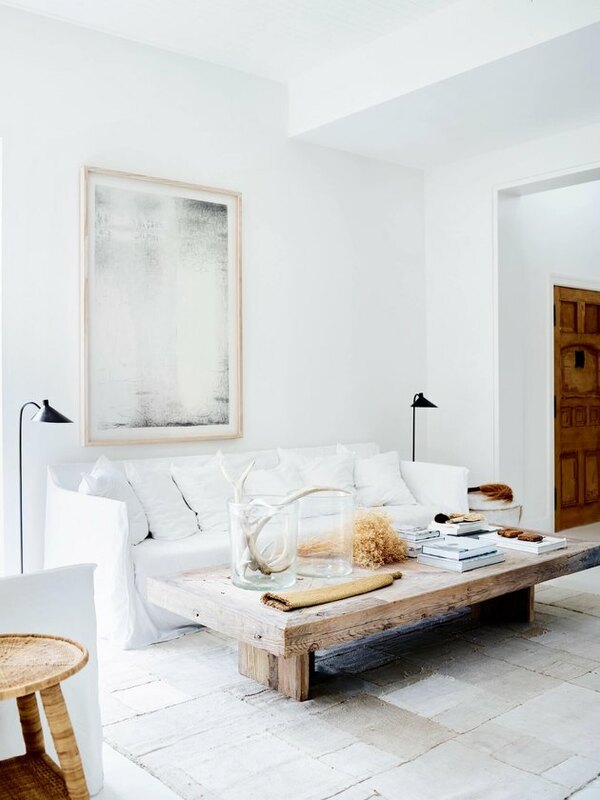 This almost all-white, airy living room feels like a modern take on Mediterranean style — and the natural light is the star of the show.